These terms and conditions (the “Terms and Conditions”) are the terms and conditions upon which Dhaka Rosarium (“we/us”) make this website (the “Dhaka Rosarium Site”) available to you. These Terms and Conditions govern your use of the Dhaka Rosarium Site. 1.5 Products on the Dhaka Rosarium website are not available for same day delivery. 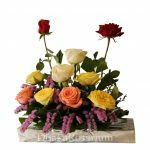 Please contact us on +88 0197 FLOWERS(3569377), +88 017 111 80 700 for this service. 2.1 Prices listed within the Dhaka Rosarium website are valid for a maximum of 14 days from the day or ordering, but are subject to change during peak periods and to accommodate the seasonal availability of some flowers. 2.4 We reserve the right to change without notice, the price, or prices of any, or all products listed on the Dhaka Rosarium website. 3.3 By clicking on the ‘check out’ button at the end of the order process, you are consenting to be bound by our terms and conditions contained in these Terms and Conditions and appearing anywhere on the Dhaka Rosarium site. 4.1 Except where stated, Standard Delivery is next day, and a standard delivery charge of 500 BDT (6.493 USD) will be applicable, certain locations will be charged at a higher or lower amount than the standard delivery charge. 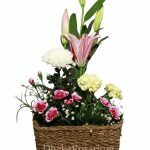 4.3 Delivery Services – Should you require your delivery to be made same day or within a specific time period please call on +88 0197 FLOWERS(3569377), +88 017 111 80 700 to place your order. 4.4 Your intended delivery date will be confirmed in your email order confirmation. We may process orders received on Friday or Public Holidays the next working day. 4.5 Delivery is not available on Friday or public holidays, orders will be delivered on the next working day. 4.8 Please note that the Dhaka Rosarium is only responsible for delivering to the address you quote (or to a neighbour if no one is at home) we regret that where the goods have been correctly delivered we cannot accept responsibility if the intended recipient has moved, or lives elsewhere, and the actual receiver refuses or fails to return item(s). 4.9 Where the delivery person/driver is unable to find someone to accept delivery they will deliver to a neighbour, leave in a secure location or leave a card at the address for the recipient to make contact. 5.2 To amend or cancel your order, please contact Dhaka Rosarium from 8am until 5pm using the contact details set out in Contact Us. Whilst we agree to use all reasonable endeavours to ensure that the Dhaka Rosarium site is fully operational and error-free we cannot guarantee this and, therefore, accept no responsibility for any defects and/or interruption of the Dhaka Rosarium Site and shall be released from our obligations under these Terms and Conditions in the event of any cause beyond our reasonable control which renders the provision of the Dhaka Rosarium Site impossible or impractical. 8.1 We reserve the right to supplement and amend the Terms and Conditions on which you are permitted access to the Dhaka Rosarium Site and/or the Dhaka Rosarium delivery service from time to time. We will post any changes on the Dhaka Rosarium Site and it is your responsibility as a customer to review the Terms and Conditions on each occasion you access the Dhaka Rosarium Site. Changes will be effective immediately after the posting of any such change and all subsequent dealings between you and us shall be on the new terms and conditions. 8.2 Additionally, we reserve the right to suspend, restrict or terminate access to the Dhaka Rosarium Site at any time. 8.6 Your purchase will be deemed to have occurred in the Bangladesh. These Terms and Conditions shall be governed by and construed in accordance with Law of Bangladesh and the parties agree to submit to the exclusive jurisdiction of the local courts of the place of business.